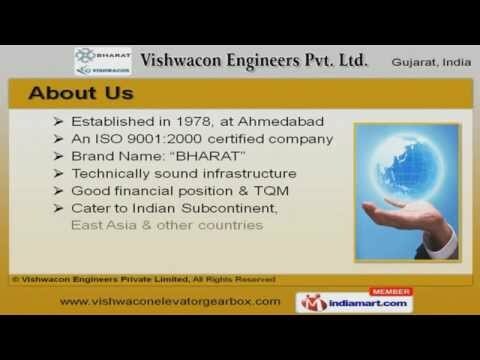 Welcome to Vishwacon Engineers Private Limited Manufacturer & Exporter of Industrial Machines. We are an ISO 9001:2000 certified company, established in 1978 at Ahmedabad. Our products are marketed under the brand name âBHARATâ, across Indian Subcontinent, East Asia & other countries. Our specialized R& D facility, large production capacity & excellent logistics support has helped us to earn clientele like Anchor Enterprises Pvt. Ltd, ABP Induction Systems Pvt. Ltd, M/s. Bombardier Transportation India Limited, Kohler india corp. Pvt Ltd, Flamepack (Manipal), PTC Industries Ltd., Plant-1, M/s Umadevi machine tools and many others. We are engaged in offering Gear Boxes, Elevator Units, Traction, Circular & Cutting Machines. Our Small, Worm & Elevator Gear Boxes are manufactured using high quality raw materials. We provide a wide array of Elevator Unit & Parts at competitive prices. Traction, Circular & Cutting Machines are some of our best selling products. We are specialized in offering Reduction Unit & Saw Machines. 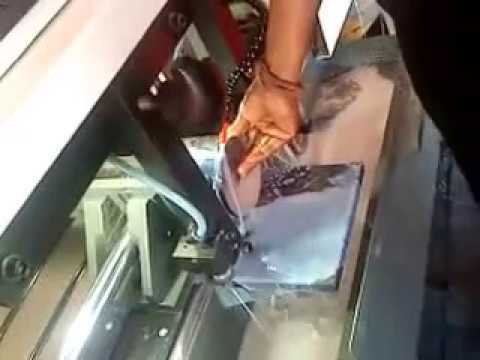 Our Band & Hack Saw Machines are widely acclaimed in the market.